Christian Scheuerl (born 1981) is Managing Director of MPC Micro Living Development. MPC Micro Living Development is a fully integrated developer and operator of Micro Living products in Germany. As part of the MPC Capital group, the micro living team has successfully raised Germany’s first regulated Student Housing fund (SHV I) and transacted over 200m€ in PBSA assets in Germany in the last years. Christian joined the firm in 2014 and has grown the Staytoo brand from a first idea to over 1000 beds in operation and additional 500 under construction. He has lead the acquisition and development for all eight micro living projects and oversees the future pipeline, fundraising, and transactions. He is also in charge for brand management and continuously improving the operational management of the Staytoo sites. MPC plans to raise money for a new investment vehicle in the near future and grow its market share in the German PBSA segment. Before joining MPC Capital, Christian worked as a development manager at ECE Projektmanagment in Hamburg. 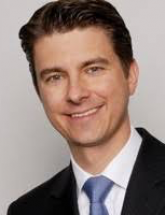 He has more than 10 years of experience in the area of Real Estate and Asset Management and holds a German law Degree from Bucerius Law School Hochschule für Rechtswissenschaften.